The previous posts illustrated that there are people within and outside of the church who persistently advocate a concept of truth that provides for many nuances to accommodate individual personal worldviews and preferences. In order to understand the Scriptures within their proper context, however, it is necessary to clearly describe the biblical concepts of truth and knowledge. In the first place, truth is truth, whether one believes it to be so or not. Truth does not depend on any person's acceptance. 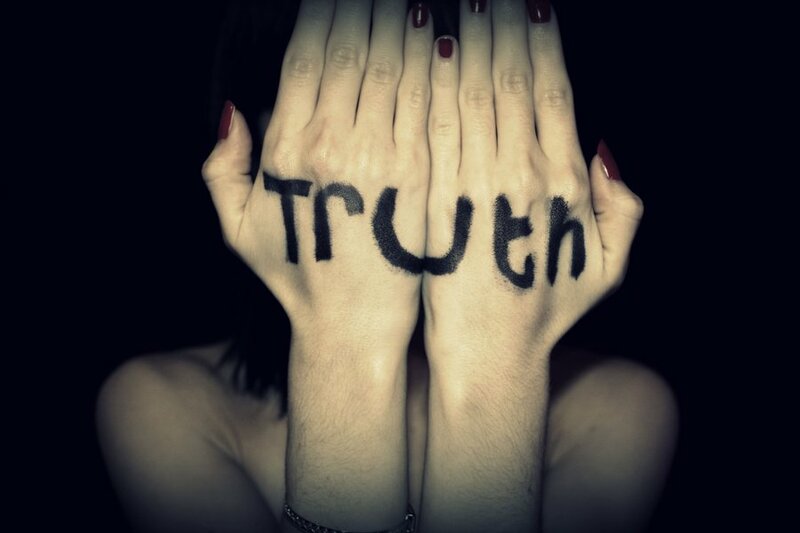 In the second place, truth is truth, irrespective of whether one knows it, or not. There is a lot of truth in the world that everyone does not yet know, or which all are not conscious of. Yet, it remains the truth. It has been said truth is most profitable and most productive when one can see it for yourself. Before He was taken prisoner, Jesus said to his disciples (John 16:13): "When the Spirit of truth comes, He will guide you into all truth. For He will not speak on His own, but He will speak whatever He hears. He will also declare to you what is to come." "To be led into a truth is more than barely to know it; it is not only to have the notion of it in our heads, but the relish, and savour, and power of it in our hearts. He (the Holy Spirit) shall teach all truth, and keep back nothing profitable, for He will show all things to come . . . We should have fuller views of the Redeemer, and more lively affections to Him, if we more prayed for, and depended on the Holy Spirit." Such a viewpoint excludes any further revelation of any undisclosed things to the children of God who are living today. Jesus very specifically said according to John 14:17 that the world could not accept the Spirit of truth, because it did not see or know Him. With ‘world’ (Gk kosmos) I believe He was referring to the societal system which in the case of the Jews was rooted in their religious system. But to them who loved Jesus, He would show himself out of his love for them (verse 21). Although Jesus was only addressing the eleven remaining disciples after Judas Iscariot left the room to betray the Master, it is clear that He was including all who obeyed his commands because they loved Him. The King James Bible uses the word manifest instead of show. The Amplified Bible adds the words reveal, manifest and "I will let Myself be clearly seen by him and make Myself real to him." In other words, Jesus said that He, who is One with the Father, would reveal himself through the Holy Spirit to anyone who loves Him! There is no indication that this was a principle for the generation of the apostles only. Who then are those who love Jesus? The Master made it clear: "The one who has My commands and keeps them is the one who loves Me." (John 14:21). Jesus also described those who lived such a life as truly (really) His disciples. And these true disciples would know the truth according to Him, and the truth would make them free (John 8:31, 32). It is important to realise that Jesus did not include all believers in this freedom. Consider, for example, the rich young man of Matthew 19:16-24. The indications are that he was indeed a believer and was loved by Jesus, but did not see his way clear to become a true disciple. Only true disciples would know the spiritual freedom Jesus proclaimed. (read more on the biblical concept of discipleship in the article on this website). One sees important usage of words here, because it clearly does not refer to an intellectual belief in Jesus, but to a demonstrated love for Him. obey them (carry them out)! John explained that God gave the law through Moses, but grace and truth came through Jesus Christ (John 1:17). As He prayed for his disciples on the night when He was taken prisoner, Jesus did not only pray for the disciples who were there with Him, ". . . but also for those who believe in Me through their message. May they all be one, as You, Father, are in Me and I am in You. May they also be one in Us, so the world may believe that You sent me. I have given them the glory You have give Me. May they be one as We are one. I am in them and You are in Me. May they be made completely one, so the world may know You have sent Me and have loved them as You loved Me." (John 17:20-23). Has the church lost its true Way or not? Andrew Murray (1982:77, 78), one of the world's foremost Bible scholars of the nineteenth century and author of some 250 books, wrote that the world had lost its fear of the church, but its tolerance was more to be dreaded than its hatred. Apathy is sometimes worse than violence. A Christianity of mere form, in the sleep of indifference, is just as inaccessible as an openly resisting Judaism. Even in the present day, God's servants need His power to be evidently manifested among them, for the Word to be preached with all boldness. Although Murray was focussing on divine healing through miracles at the time, the message he proclaimed was that the church should stop saying "no thank you" to the truth of God's promises and the availability of his power to manifest in and through his sons and daughters today . When the author of the book of Hebrews (13:8) wrote that "Jesus Christ is the same yesterday, today, and forever", every year that followed was included without any doubt! Jesus' promise in John 16:13 therefore remains true today! One may be restricted in terms of space in the amount of knowledge or information you are able to share. But this should not be such a problem in itself. A bigger danger students of Scripture may have to guard against is the selective usage of Scripture to suit specific argumentation. Selective usage of Scripture creates the danger of losing the specific perspective within which it was written, and therewith receives false meaning. A general example is 1 Thessalonians 5:21 and 22: "(...) but test all things. Hold on to what is good. Stay away fromevery form of evil." This statement of Paul refers exclusively to prophecy, but people apply it to almost any area of life. I once became aware of a pastor’s son, who used this text to justify his involvement with drugs earlier in life. The Bible reader should guard against taking single portions of Scripture and generalising it. Such an approach has too often been found to lead to wrong doctrines. It is important to look for unity of viewpoints, thoughts, commands, etc., throughout the Bible. This does not imply that the Scriptures should not be applied to contemporary situations, for example to current cultures and circumstances of society. It means that the believer should guard against the distortion of the truth to suit and prop up modern viewpoints and philosophies, such as humanism. This has sadly become an all too familiar characteristic of a large part of the Christian church. In the next post we will define the two concepts of truth and knowledge as the Bible presents them.
. Matthew Henry’s Concise Commentary Of The Bible. E-Sword Commentary Add-On. Version 15.0.0.573.
. RUGH, G. 1994. Demonization Of The Believer: Unbiblical Teaching Exposed. Lincoln, Nebraska: Indian Hills Community Church. www.ihcc.org. p13-14.
. MURRAY, A. 1982. Divine Healing. Pittsburgh: Whitaker House. p77-78. Unless otherwise noted, all Scripture quotations have been taken from the Holman Christan Standard Bible. 2003. Nashville, Tennessee: Holman Bible Publishers. Used by permission.